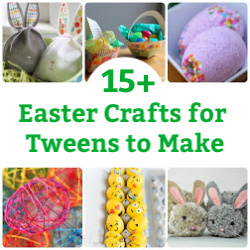 On last Monday’s post I introduced the idea of growing your own Easter tree. Today I am going to introduce this year’s newest addition to the tree…the felt chick. These sweet, little, yellow birdies evolved from my attempts to make felted Easter eggs. 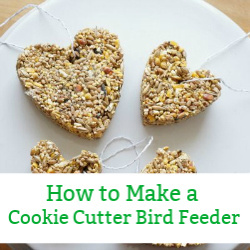 Here is how to make your own little chickies. 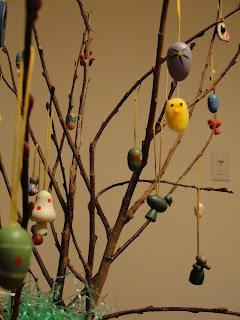 With your chick complete you can adorn your Easter tree. 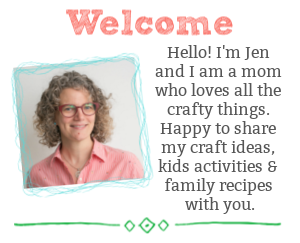 I also made little Easter eggs and an Easter bunny. 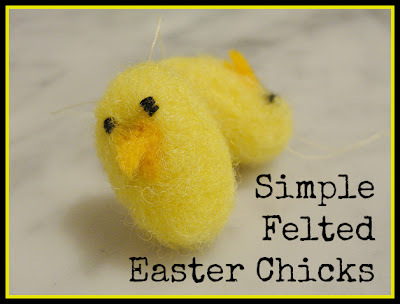 These felt chicks will also be part of the treat bags we will be giving to family and friends this Easter. Along with our squirrel sugar cookies, candies and Easter cushions.